Institutions usually subscribe to a range of electronic resources, such as full-text journal collections, databases, books, videos, reports, standards and many other content types. In addition, there are increasingly many publishers providing Open Access (OA) content. In order to facilitate access and to locate the most relevant items, Knowledge E makes these resources available through a discovery service. This enables the users to search in single platform instead of having them go to each publisher or provider platform and search individually. As the content from the different e-resources is indexed in a systematic way, the results that are returned can be further refined through filters on time period, publisher, subject category, geographic area, and more, or be combined with advanced search terms using Boolean operators (AND, OR, AND NOT). The results can also be sorted in different ways be shared via email, social media and exported in various citation formats. Internal electronic library resources, like the institution’s Library Catalogue and the Institutional Repository, can also be indexed and be made available through the KnE Digital Library discovery service. The only condition is that the institution provides the meta-data from these resources in a supported format, like MARC-XML. This is set up once, and if the internal resource supports automated updates over SFTP or OAI-PMH, the KnE Digital Library discovery service is kept up-to-date automatically on a nightly basis. 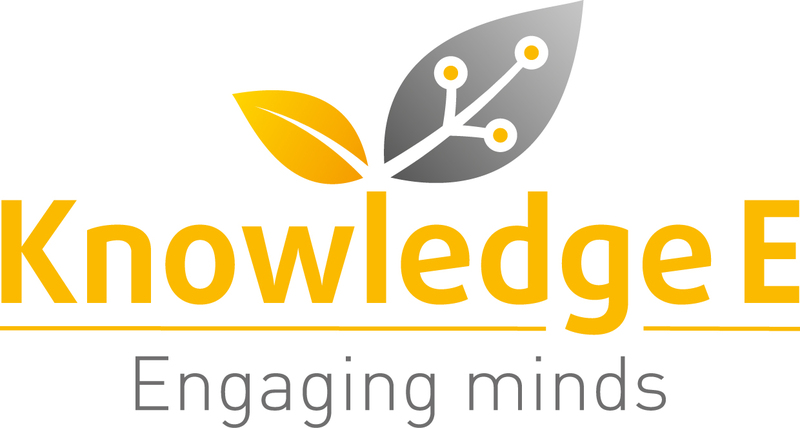 Knowledge E offers the discovery service as a fully managed service. This means that the institution can see Knowledge E as a prolonged arm of the library. Any access issues, adding and removing titles to reflect the institution’s current subscriptions, contacting publishers for marc records, ensuring that the library catalogue is continuously harvested and indexed, and any other 2nd level support and maintenance, is taken care of by Knowledge E.
One search across the institution’s subscribed and OA e-resources, including filtering and advanced search options. Shortest possible click-path to access the full text articles by enabling a direct download where possible. 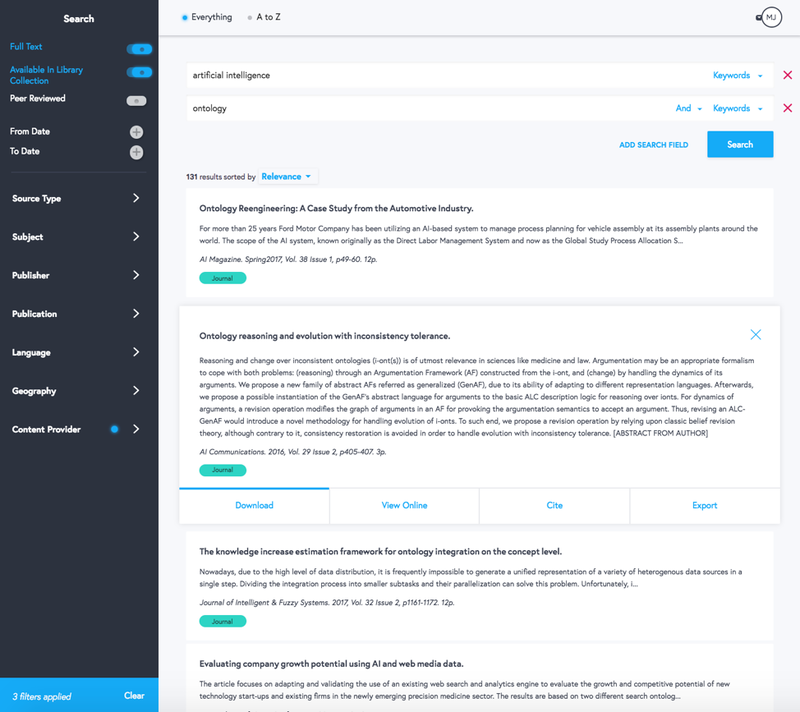 Integrated A-Z list of journal and book titles, allowing the users to browse and quickly find the titles most important to their areas of activity. Support and maintenance to ensure that the institution’s current subscriptions, trials, desired open access content and library catalogue are continuously and correctly available through the discovery search.